HandKrafted by Stephanie: Taylored Expressions March Sneak Peek: Oh Snap! Hello! Welcome to the Taylored Expressions March Sneak Peek Day Two! We are releasing 5 new stamp sets and 9 new dies... I know you are going to love it all! We will be having a Preview Party tonight at 6:00 PM PST. This will be your chance to see the sets and there will be some great giveaways. The party is always fun and fast-paced! Be sure to join along HERE! I have a couple of cards to show you today that use a super fun new set, Oh Snap! (concepted by Shelly Mercado!) and the coordinating dies, Oh Snap Cameras. I love all of these sweet cameras! You'll notice that I used our new Banner Stacklets 2 Dies. I used Jen's Deconstructed sketch #91 for both cards. Accessories: Taylored Dies: Banner Stacklets 2, Oh Snap Cameras (Taylored Expressions); Markers (Copic), Pewter pearls (Kaisercraft), Foam tape, Thread, Sewing machine. Your cards are adorable and I think I'll have to CASE them! Love the sweet colors and stitching too...so cute! These are so cute, Stephanie! 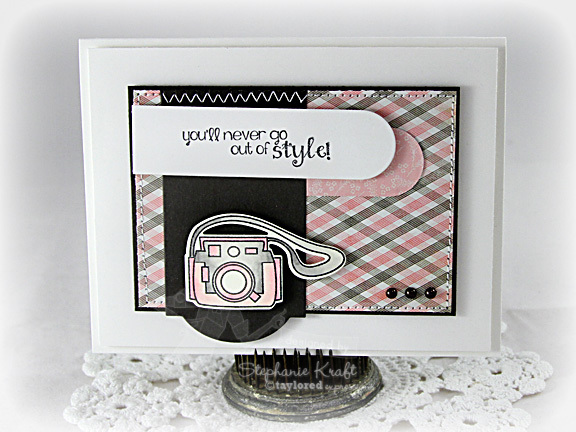 I just love those cameras and the fun sentiments:) Great layout! 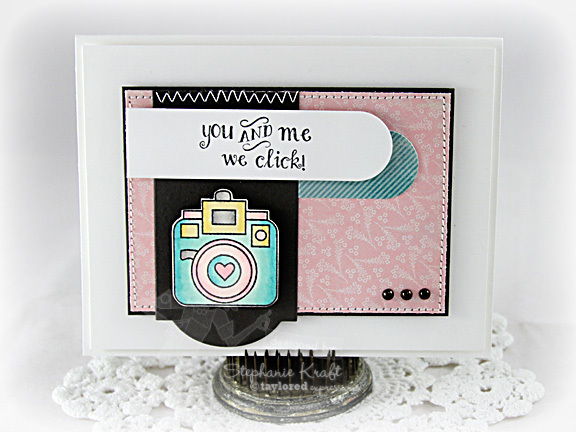 Super cute cards! Love the color combos!